PEOPLE intending to vote at Ellendale, Gretna, Hamilton, Bronte Park or Maydena in next Saturday's Federal Election will have to make other plans. Following a review of polling places by the Australian Electoral Commission, 16 fewer polling booths will be operated in the Lyons electorate. 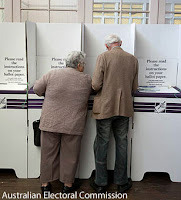 It has been reported that 730 booths have closed across Australia, including 38 in Tasmania. The Derwent Valley has been hit particularly hard, losing five federal polling places. Based on the number of votes cast at those locations in the 2013 Federal Election, nearly 700 people will have to find an alternative polling place.